On 20 January 1944 Bomber Command Navigator Reginald Wilson's Halifax, LW337, comes into the sights of an ace Luftwaffe night fighter pilot, and is blown from the darkness above the German capital Berlin. On 20 January 1944 Bomber Command Navigator Reginald Wilson's Halifax, LW337, comes into the sights of an ace Luftwaffe night fighter pilot, and is blown from the darkness above the German capital Berlin. Reg, yet to celebrate his twenty-first birthday, plunges into the dark and parachutes to safety, but the experience of being shot down will haunt him for the rest of his life. In July 2005 Reg embarks on a seemingly impossible quest to discover the fate of his aircraft. Undeterred by the skepticism of family, friends and military archivists, Reg uses the internet and his natural aptitude for problem solving to piece together exactly what happened to the Halifax he last saw plunging towards a Berlin suburb, 61 years previously. Reg's persistence leads to a most remarkable discovery - something he never anticipated. His life is changed. Perhaps, more importantly, the discovery will change for the better the lives of others he has yet to meet. This uplifting biography traces the extraordinary course of events that led Reg to make two important vows. One of these, made during the London Blitz, was to join the Royal Air Force and fight to defend his country. The second was to solve an intriguing mystery - something which others had tried, but failed, to do. 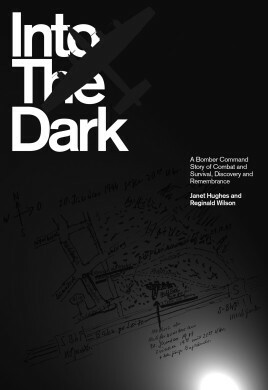 The events described here are a testimony to Reg's courage and steely determination, and also reflect the extreme sacrifices made by Bomber Command aircrew during the Second World War. What makes this compelling story quite unique is the juxtaposition of past and present, for without twenty-first century technology and the cooperation of a number of highly motivated individuals, both British and German, the real truth about the last flight of LW337 would never have been discovered.